Two weeks ago, I posted here about the Oak Park, Illinois, neighborhood with several homes designed by Frank Lloyd Wright. 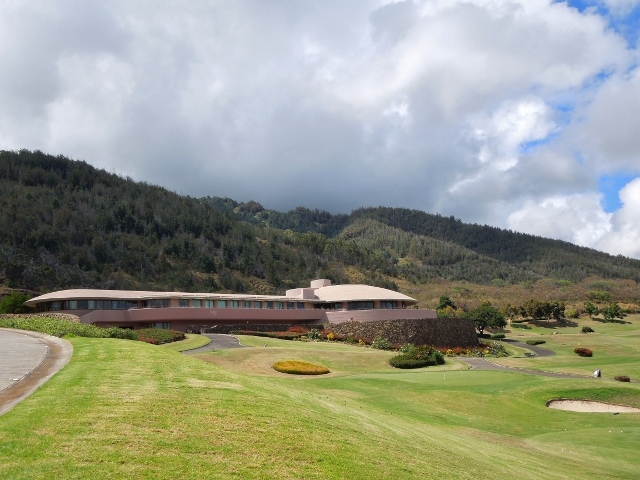 When I was in Maui last week on vacation, I had to take a look at a golf clubhouse from designs by Frank Lloyd Wright. I drove up the hill with two golfers, my husband and our friend Larry Franklin, who raved about the golf course, but our first look at the clubhouse startled us. Overlooking a large valley, hugging a hillside, the clubhouse looks futuristic. You see a small part of the valley below. 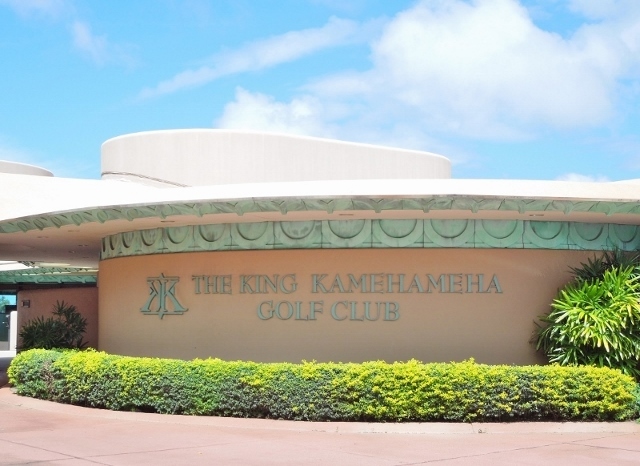 Built in 1993, decades after the passing of Wright, the clubhouse of the King Kamehameha Golf Club, is from archived Frank Lloyd Wright designs for a structure or structures that were never built. They were adapted by Taliesin Architects. The video on the page, from the Golf Channel, says the design was based on a home for a certain screen legend. No spoiler from me. 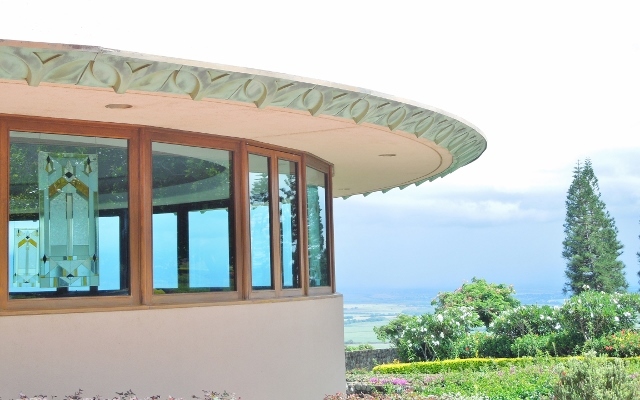 The website also devotes a page to Frank Lloyd Wright’s design, with more photos. I’m glad I bought that travel guidebook! 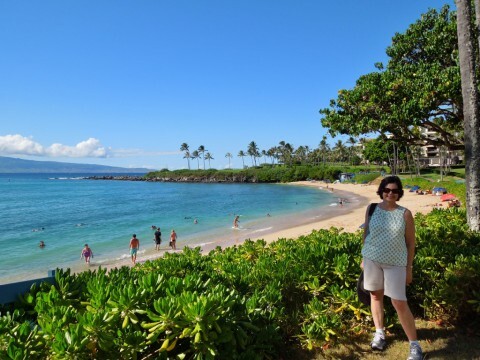 I did not expect this in Maui.